Chart labels communicate important patient information in a quick and time-saving way. Hospitals, clinics and physicians’ offices use chart labels to alert and instruct the staff to help ensure effective patient care. Chart labels call out essential patient information. They alert staff to patients with similar names, convey length of stay requirements, help keep track of large volume charts, communicate additional information needed for coding and more. 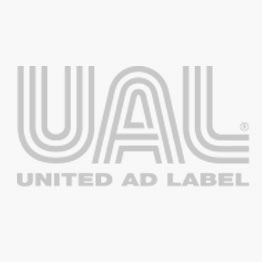 United Ad Label chart labels contain a wide range of instruction options that are sure to meet the needs of your staff. The brightly colored labels stand out to ensure that messages are properly conveyed. And, they are in stock and available for immediate shipment. Blank Review Label, 2-1/2" x 2-1/2"
Case Management Label, 2-1/2" x 2-1/2"
Chart Label, 2-1/4" x 7/8"
Chart Labels, 1-5/8" x 7/8"
Chart Labels, 2" x 3/4"
Chart Thinned Label, 2-1/4" x 7/8"
Chart Thinned Label, 3" x 1-5/8"
Coding Label, 2-1/4" x 7/8"